BREAKING: LOOK WHO HAS REPLACED JYOTHIKA IN VIJAY 61!! Yesterday (5th February), we had reported that Jyothika would not be part of Vijay 61, directed by Atlee. There were many speculations going on about the new heroine. Sources close to us now suggest that Nithya Menen is the finalized one. It is said that the OK Kanmani actress is most likely to join the sets very soon and start shoot for her portions. However, an official confirmation regarding this is awaited from the team. Vijay 61 started rolling from February 1st in Chennai and is expected to release in the last quarter of 2017. A Valentine’s day release under Dhanush’s banner! Is this what Dhanush will be doing in the first 45 minutes of Vada Chennai? Vikram to play a gangster? Is Samantha Part Of Thalapathy 61 Directed By Atlee? 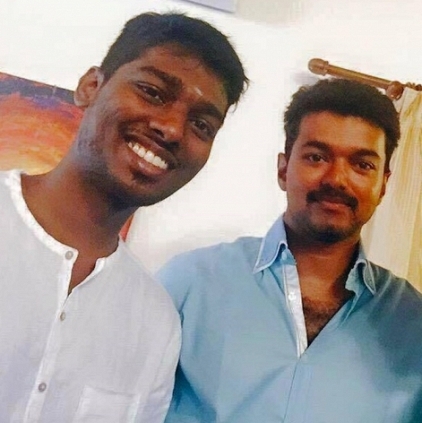 People looking for online information on Atlee, Nithya Menen, Vijay 61 will find this news story useful.